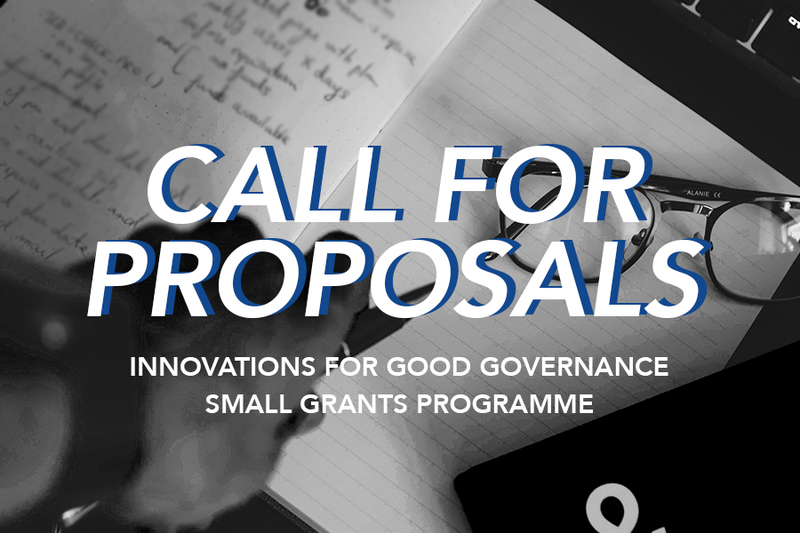 The Innovations for Good Governance (INNOVATE-GOV) project is pleased to announce the call for submissions for its Small Grants Programme open to civil society organizations, non-government organizations, youth groups, and academic groups. This project aims to promote innovative approaches in policy-advocacy, performance-based standards for public institution excellence and multi-stakeholder participation for effective good governance. All proposals should be submitted electronically to innovategovph@gmail.com with the subject line: name of organization and title of the proposed project. For further information or clarifications, please write to INNOVATE-GOV Programme Coordinator Ryan Evangelista through innovategovph@gmail.com. The INNOVATE-GOV PROJECT is in partnership with the Institute for Solidarity in Asia, National Competitiveness Council, Philippine Chamber of Commerce and Industry, De La Salle University Jesse M. Robredo Institute of Governance, University of the Philippines National College of Public Administration and Governance, and Center for International Private Enterprise.